A CAS design for the Queen for the Day, Gabby, over at Splitcoast. I’ve simply ripped bits of designer paper and adhered them together with my ATG before dry embossing them. 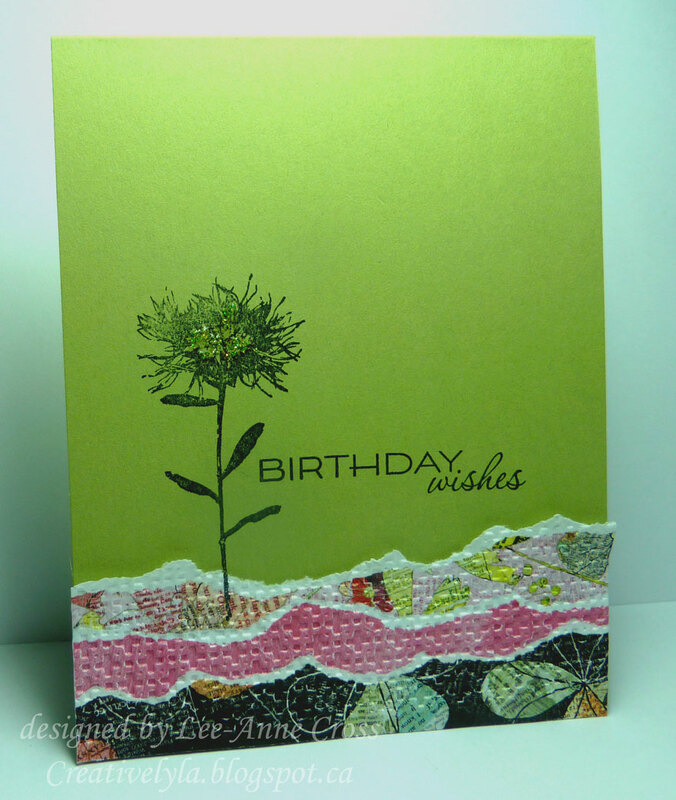 Simply glued them to the card base, added a floral image and the sentiment and finished it off with some Stickles. Another really easy peasy card! Lovely use of torn paper! I love the wickedly modern colour scheme… and somehow there is amazing tension between the stamped image and the torn paper border. Great card! Previous Previous post: Kiss You?